You are here: Home / Health & Parenting / When can stuffed animals or blankets be safely introduced in the crib? When can stuffed animals or blankets be safely introduced in the crib? By now, most parents have heard about the ABCs of safe sleep: Babies sleep safest Alone, on their Backs and in a Crib. Most have heard the recommendations to avoid placing blankets, crib bumpers, stuffed animals or other soft bedding in our babies’ cribs to reduce the risk of Sudden Infant Death Syndrome (SIDS), or death by suffocation or strangulation. We’ve been warned time and time again — and rightfully so. About 3,500 infants die annually in this country from sleep-related deaths, according to the American Academy of Pediatrics (AAP). But what we haven’t heard so much about is when it is safe to begin introducing comfort items into our babies’ cribs. 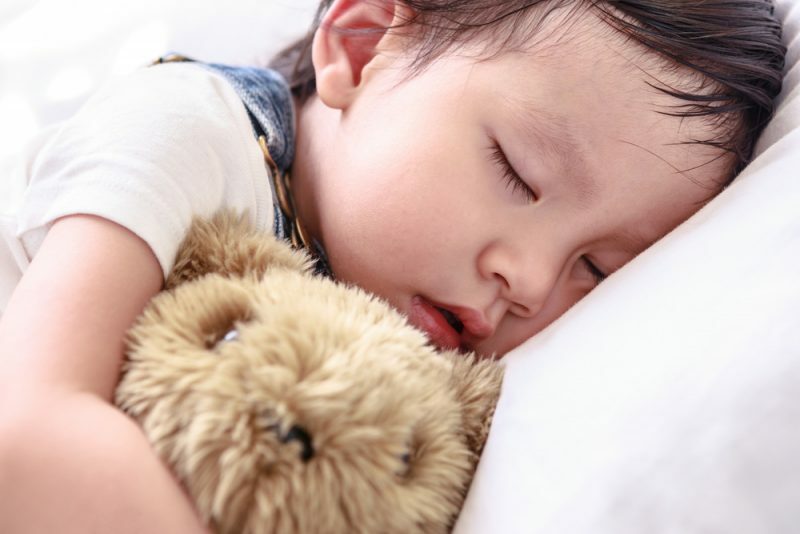 The AAP states around a baby’s first year, it’s OK for parents to consider a light blanket or a small security item, such as a lovey, to provide their child comfort at bedtime. These security items can help children fall asleep, as well as make the emotional transition from dependence to independence. “It’s safer to wait until a child is over 1 year because evidence suggests that’s when the risk of SIDS decreases,” said Julie Tsirambidis, a certified nurse practitioner at Akron Children’s Hospital Pediatrics in Brecksville and the hospital’s director of Advanced Practice. But once your child is old enough for a comfort item in the crib, she warns to still proceed with caution. The AAP recommends 1 or 2 items, no large stuffed toys or heavy blankets and no pillows until the toddler transitions to a bed. When selecting a comfort item, keep your child’s safety in mind. If you’re choosing a blanket, make sure it’s light and airy. If you’re introducing a stuffed animal, choose one that is small and doesn’t have buttons, hard eyes or detachable pieces that could become a choking hazard. Also, it shouldn’t have any ties or strings that could get wrapped around your toddler’s neck. Does My Preschooler Still Need Naps?